The Tudor Close Helm sports the form most often associated with the image of a knight. During Henry the VIIIs wars in France, this type of helmet would have been in use on both sides. This reproduction is made of 18 gauge hammer hardened steel and is fully wearable. 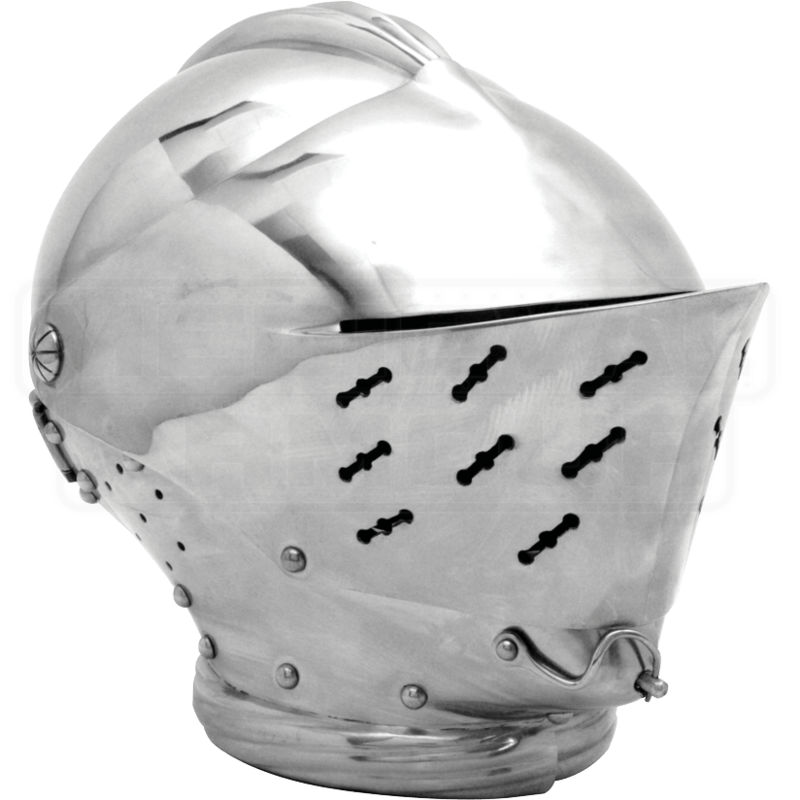 The term close helm refers to the fact that this helmet style locks firmly around the head for complete protection with a very narrow field of vision to expose the eyes as little as possible. The visor is pierced with key-holes on both sides for good air flow during combat. The lower bevor section is split into two overlapping pieces that are hinged at the sides and hook together at the chin while the visor locks down firmly over it. The helm is designed with a clip, allowing the helm to open and close for easy putting on and taking off.